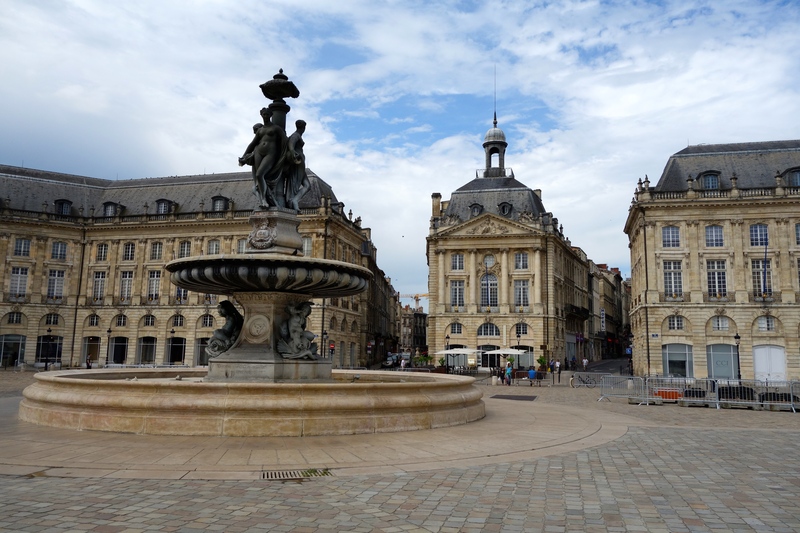 For the past week, I have wandered around the city at large on my way to one library or another and have come to view Bordeaux very differently from the previous two times I was here. Bordeaux is a beige, bourgeois city. Uniformly pretty and perpetually mercantile. Most of the buildings are made of limestone, a favorite of eighteenth-century architects and builders — think Georgian England, the Cotswolds, and the city of Bath. Here, either the stone was either cheap or there must be plenty of it nearby because it’s everywhere you look. The city center, particularly in the areas that attract visitors, looks like the Place de la Bourse (above). Then, there’s the city inhabited by the bordelais, who apparently have come from elsewhere at some point. Bordeaux is, after all, a river port, and so immigration has long been a part of its history. My neighborhood, St Michel, contains French people of long descent, more recent immigrants from the francophone Middle East, African states, eastern Europe, and Spain and Portugal. And they seemingly all turned up this morning at the flea market on the river, the produce market at the foot of the pilgrim church of St Michel, and at the Marché des Capucins — which is a completely different experience on the weekend than the sedate market I’ve shopped at during the week. 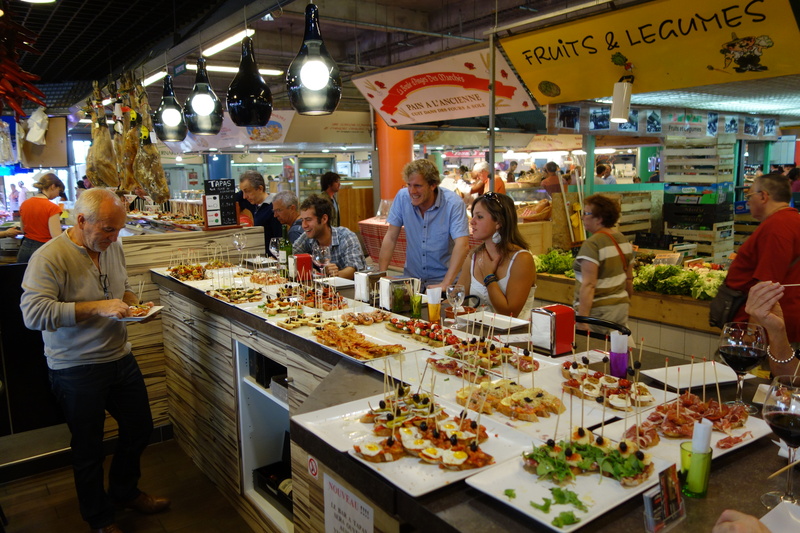 Tapas bars, a stall serving food from the island of Réunion, Peruvian food, cheese stalls, charcuterie, butchers, Italian products, fresh produce, and fish and seafood are all in high gear on Saturdays. Bordeaux is a wonderful city, As you have found there is much to love beyond the beige. Thank you. Let’s see if the changes I made worked.